We built the Bar Society mobile apps. 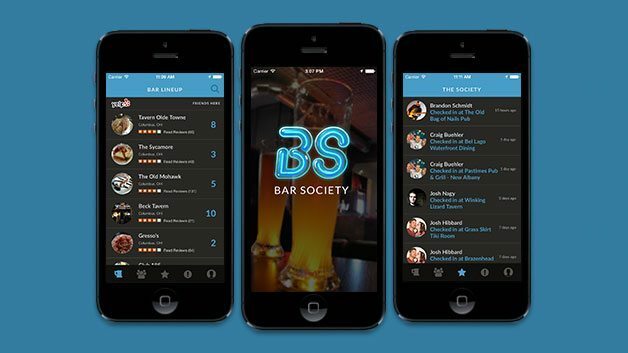 Bar Society is an HTML5 App created to find bars near your location, meet new people, and view your compatibility with others based on the activities you enjoy. This Mobile App is an amazing example of beautiful design mixed with a high quality social experience that keeps users engaged and coming back for more.